Share the love…If you found this BMI calculator helpful, kindly share it with your friends. It will help us a lot. **Our BMI Calculator for men and women is very easy to use. It will find your BMI with high accuracy. The data entered by you is only used for the calculation of body mass index. Your privacy is safe with us. So you are here to set a new body weight goal right? 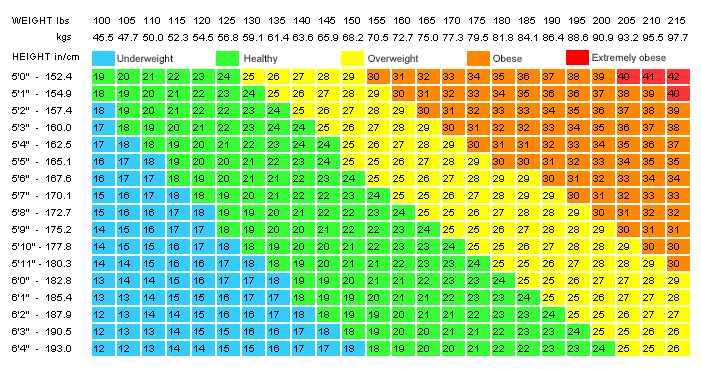 You can use our BMI chart and BMI graph to set new body weight goal. BMI graph is a graph plotted with height along Y- axis and weight along X- axis. 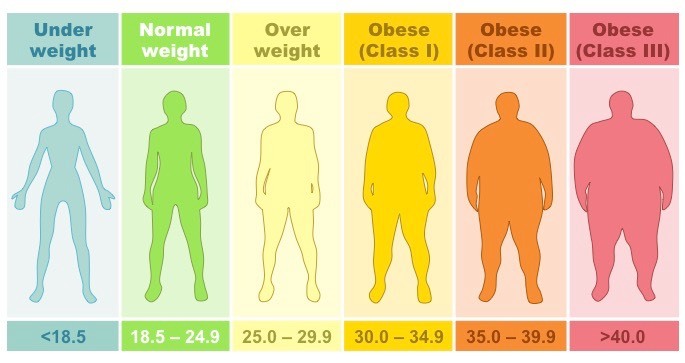 The Body Mass Index is a simple reliable index used as an indicator of underweight, normal weight, overweight and obesity. It is calculated by dividing weight by the square of height. It is mainly used to separate weight categories that may lead to health problems. Often BMI is used to measure body fatness because it measures excess weight. Simply it is the adjusted weight for a particular height. Because of its simplicity anybody can measure their BMI using proper equipments with reasonable accuracy. BMI can’t differentiate between fat, bone mass and muscle mass. It will not give any information about fat distribution. Note: BMI is inaccurate for athletes and bodybuilders. Since they have high muscle mass and bone density BMI categorise them into overweight. So if you are an athlete or bodybuilder don’t worry about your high BMI value. BMI was developed by AdolpheQuetelet, a Belgian mathematician, astronomer and statistician. The name he given to BMI was Social Physics. During his research he also considered factors such as gender, age etc. Actually he was trying to find the statistics of a healthy man. The modern day term Body Mass Index was first used in paper published in 1972 edition of Journal of Chronic Diseases by Ancel Keys. In Israel, France, Spain and Italy use of fashion models having BMI less than 18 is banned. This is implemented in order to prevent anorexia among models and others interested in fashion. 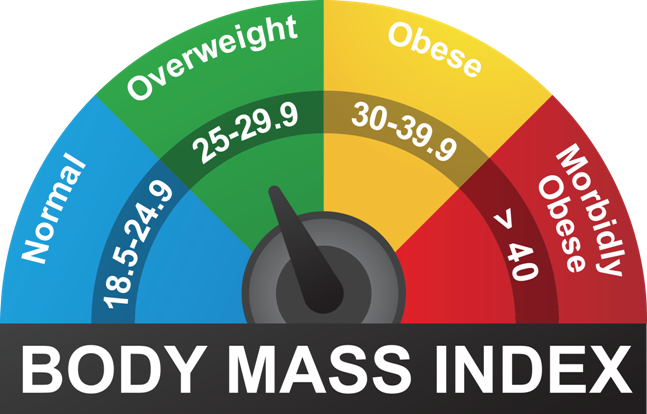 High BMI values indicates higher risk for certain diseases such as cardio vascular diseases, high blood pressure, type 2 diabetes, elevated insulin levels, breathing problems, gallstones and certain cancers.